Recently released, the Movies Anywhere app is changing the game for powerhouse streaming services like Netflix and Hulu. Serving as a “digital locker service,” Movies Anywhere features content from four major studios: Walt Disney (owner of Pixar, Marvel Studios and Lucasfilm), Sony Pictures Entertainment, Twentieth Century Fox Film, Universal Pictures and Warner Bros. That’s a combined catalog of over 7,300 movies. Movies Anywhere means you have one access point for all your video downloads, syncing content from Amazon, Google Play, iTunes and Vudu across all your devices and auto-populating the app with all your content. Though owned by Disney, the app operates independently with oversight and input through an advisory committee of members from each of the participating studios. Last summer, Disney announced they would be pulling their content from Netflix to start their own service. Beginning in 2019, movies from Walt Disney Studios and Pixar will no longer be available on Netflix, though Marvel Studios films will remain. Disney has yet to decide whether they’ll pull Lucasfilm content. Users can buy new digital movies on the app through Movies Anywhere retailers and will be able to redeem codes from DVDs or Blu-ray Discs they have purchased to gain instant access. And, beginning next year, DVD’s will carry the Movies Anywhere brand. Users can have up to five sub-accounts in addition to their master account. Like other streaming services such as Netflix, each sub-account has personalized recommendations and restrictions, so the primary account holder can filter content, e.g., no R-rated movies for kids. Only the master account holder may make purchases. Because content is synced across devices, users can start streaming a movie on one device and finish it on another. Two viewers can watch the same title on different devices at one time and up to four viewers can stream different content on different devices at the same time, a feature not available with many streaming services. Users can access their library on iPhone, iPad, iPod Touch, Apple TV, Roku, Amazon Fire devices, Android mobile and tablet devices, Android TV, Chromecast, and several web browsers. The New York Times recently published a disturbing story by journalist Sapna Maheshwari on the amount of inappropriate content slipping past Google’s filters for YouTube Kids. Launched in 2015, YouTube Kids was a mother’s prayer answered, a dad’s dream come true – an almost endless supply of free, kid-friendly content. 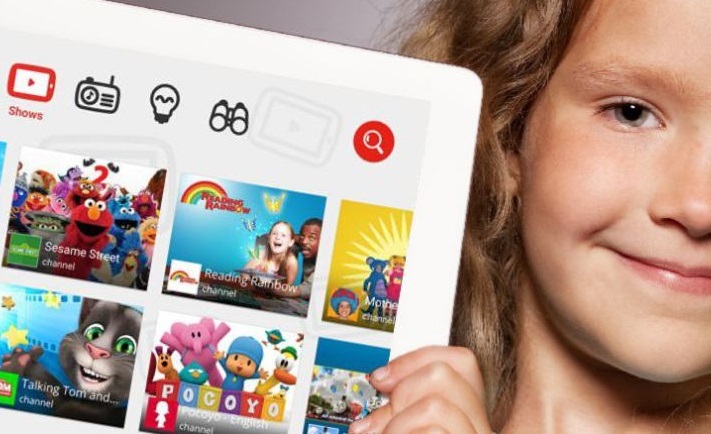 With over ten million weekly viewers, YouTube Kids success is unquestionable. However, sometimes by accident, sometimes by intent, objectionable videos are finding their way into the kid-zone. Many popular Disney and Nickelodeon characters are portrayed in lewd, suggestive or violent situations, exposing children to the exact type of content the filters are meant to block. Parents have complained, and some have voiced those complaints on social media, including posting warnings on Facebook. This isn’t a new issue for YouTube. They’ve been aware of the failure of their algorithms and have been working to solve the issue for several years but, with 400 hours of content being uploaded every minute, YouTube is struggling to ensure what’s labeled “family friendly” actually is. Keith Collins of Quartz Media argues sites like Facebook and Google (owner of YouTube) need humans, not just algorithms, to filter content. But until Google and YouTube Kids put actual people on the job, parents should be mindful of what could potentially slip through the cracks. The vast majority of the content on YouTube Kids is perfectly acceptable but supervision and real-life parental control are the keys to keeping your kids safe. You’d never let your child roam a public park unsupervised and the Internet is no less dangerous. The Sutherland Springs church shooting. Sexual assault allegations pouring out of Hollywood. Russian interference in U.S. elections. Accusations leveled at Alabama Senator Roy Moore. Coming on the heels of an abnormally intense hurricane season, an earthquake in Mexico, and a mass shooting in Las Vegas, there’s an undercurrent of “compassion fatigue” overtaking many Americans. “There’s actually a term for how you and so many other people are feeling right now. It’s called compassion fatigue. No one can absorb the horrible things happening in this world 24 hours a day. You have to find a way to step back,” says Dr. Mary McNaughton-Cassill, professor of psychology at the University of Texas at San Antonio and expert on the connection between our media consumption habits and stress. It’s a matter of over-exposure. The world is not necessarily a worse place than it was 10, 50, or even 100 years ago, it’s our 24/7 access to news and information that is overwhelming us. To mitigate the constant barrage of “bad” news, it’s important to be intentional with our self-care. The obvious answer is to simply disconnect but that’s often neither reasonable nor rational. Uninformed can be worse than ill-informed. Instead, family therapist Roy Dowdy recommends the following tools and behavior changes to prevent or alleviate your compassion fatigue. Be intentional. Don’t start your day by picking up your phone and scrolling through social media or news apps. At night, turn off your devices at least an hour before bed. Consider turning off notifications and alerts. Instead of having the “bad news” come to you, disable notifications and alerts and set aside a time to check in. Additionally, limit the time you spend reading the news. It’s easy to fall down the rabbit hole, so decide beforehand how much time you will spend reading or watching the news. Be self-aware. Be in tune with yourself and recognize when you’re beginning to feel overwhelmed or unhappy. Take stock of your situation and be intentional about changing your attitude. Use positive coping strategies like prayer, meditation, exercise, a hot bath, drinks with friends, or whatever else fills your emotional gas tank. Go for a walk. Simply changing your immediate environment – hiking in the woods, walking around the block, or walking around the parking lot during lunch – can pull you out of a negative mindset. Keep a journal where you can freely express yourself. Often, putting pen to paper and writing out what is bothering you can lift at least part of the weight. Keeping your feelings suppressed will only delay compassion fatigue, not avoid it. Follow the same self-care tips your doctor recommends for wellness: exercise and eat a healthy diet. A healthy body supports a healthy mind. Finally, if you’re feeling overwhelmed, stressed out, and no longer in control of your emotions, consider seeing a counselor or therapist. You go to the doctor when something is wrong with your physical health and your mental health should be no different. Talk to someone who can give you the tools to not only cope but thrive. There will be no #MobileLiving chat this Friday, November 17. We’ll be back on Friday, December 1 after Thanksgiving! As our kids grow and mature, we begin to give them more responsibility. Perhaps you’ll add folding laundry to their list of chores or clean the cat’s litter box. With greater responsibility comes greater privileges – maybe their first smartphone or tablet or perhaps an extra hour of screen time. Part of maturing is being given greater leeway in making decisions, and that includes their online activity. Of course, it’s always wise to have a Family Technology Contract that you’ve worked together to create, and open, honest conversation is essential. However, sometimes, either as they’re starting out or as a consequence of poor choices, you may need to monitor the content your children are accessing. These apps are a great resource for helping you set safe and reasonable boundaries, establish trust, and develop healthy online behavior. Apple’s latest software update, iOS 11.1, brought necessary security patches as well as less necessary but still fun additions like new emojis. If you have an iPhone 7, 8, or are one of the fortunate few with a X, the updates are a good thing. 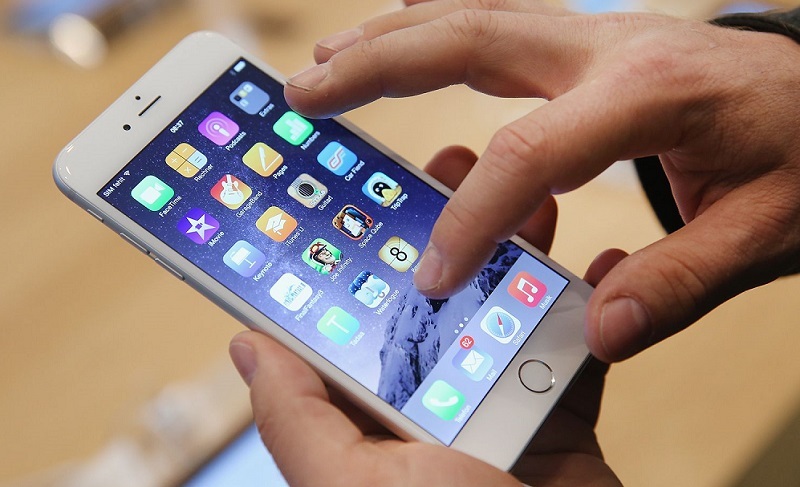 If you’re still rocking an iPhone 5 or 6 series, maybe not so much. iOS 11.1 drains the batteries on older phones, frustrating users. The good news is, there are ways to mitigate that drain without having to replace the phone or interfere with normal use. The quickest fix is a simple reboot, which can be very effective especially if your phone has been on for an extended period of time. In addition, try these simple hacks to improve your battery life. Free up space. Any phone with full or nearly full storage will run more slowly. To get an idea of what’s taking up all the space and what you can get rid of, go to Settings>General>iPhone Storage. A screen with a colored bar graph opens, detailing how much space your apps, media, photos, messages, and other miscellaneous software are using. You can choose to offload unused apps or delete old messages when you’re near capacity, and review large attachments to see which – if any – you can delete. You’ll also see a list detailing how much space each app is using and manually delete them if you choose. Update your apps. Speaking of apps, take the time to ensure all your apps are up to date. Outdated apps are not only a security risk, they often cause your phone to work harder as apps won’t run as smoothly. To see if updates are necessary, go to App Store>Updates>Update All. However, if you’re trying to prevent battery drain for daily use, turn off Automatic Updates as they wear down the battery and keep your CPU engaged. Go to Settings>iTunes and App Store, under Automatic Downloads, tap to toggle off. Turn off Background Refresh. Similarly, many apps like Facebook and Instagram refresh content even when the app isn’t in use in order to make the most recent content visible as soon as you open the app. Instead, go to Settings>General>Background Refresh and toggle Off, or go to individual apps and select which can be refreshing in the background. Limit Transparency and Motion Effects. iPhones uses special effects to create a sense of depth when your tilt your phone or open and close apps. It’s style, not function, so you can turn it off and save some battery drain. Go to Settings>General>Accessibility>Reduce Motion. Limit Location Services. Many apps access your location while you’re using them. That makes sense for Waze or Google Maps, but you don’t necessarily need Netflix to know where you are while you stream Stranger Things 2. Unless you’re in the Upside Down, in which case, definitely leave it on. Otherwise, go to Settings>Privacy>Location Services. Toggle on or off at the top, or manually select apps that access your location from the list onscreen. Join @TheOnlineMom and the MobileLiving team at 3 pm ET (12 noon PT) on Friday, November 10 as we chat about Staying Connected! From messaging apps to online games to collaboration and productivity tools, it’s never been easier to stay in touch with family, friends and colleagues. Join us as we explore the mobile technology tools that are helping us stay connected! RSVP and attend the party for a chance to win a Beats Bluetooth speaker or a Mophie battery pack! Ever feel like the devices we once claimed were going to make our lives easier and give us hours of free time have actually had the opposite effect? Instead of leaving us time to relax, we’ve become preoccupied with checking our phones, even without being prompted. We’re obsessed. The upside, according to research from Pew, is that we consider our fellow Americans “less loud and annoying than they used to be,” since we’re all glued to our screens. The downside? Balancing the benefits of having the world in the palm of our hands against all the demands on our time and attention that access brings. 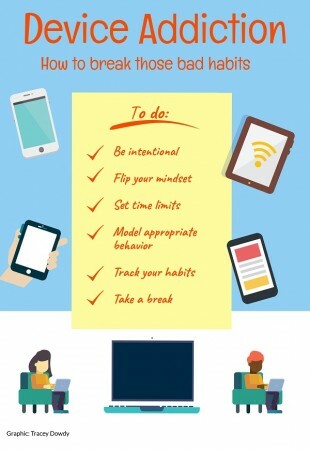 Psychologists, life coaches, self-help books, and Lord knows your mother-in-law, all think we’re spending too much time on our phones and we’ve become addicted. How addicted? Well, Adam Adler, author of Irresistible: The Rise of Addictive Technology and the Business of Keeping Us Hooked, found the average response time for a work email is six seconds. Six. Seconds. That’s how often we’re checking in. In his research, Adler found that not only do we spend an average of three hours a day on our phones, when asked which would be worse – a broken bone or a broken phone, 46% of young adults chose the broken bone, with many of those who chose a broken phone “agonizing” over the choice. Calling it addiction may be distasteful but if you examine what addiction is and how it interferes with relationships, work, and responsibilities, it makes sense. Be Intentional. Change the default settings, turn off push notifications and silence your phone if safe to do so. When we see the screen light up or hear a tone, like Pavlov’s dog we have conditioned ourselves to immediately pick up our phone and see what’s happening. By turning off those notifications, we can start to take control. Flip your mindset. Atler suggests instead of saying “I can’t check my phone,” say “I won’t check my phone.” “Can’t” suggests an external force is controlling your actions, whereas “won’t” puts you in control and control is what it’s all about. Simply flipping the script from “can’t” to “won’t” gives us that power. Set time limits. Just like you do when you’re trying to get your kids to practice playing the piano or manage their screen time, determine before you get lost down the rabbit hole of cat videos or Tasty cooking demos how much time you will spend on your phone. Model appropriate behavior. Speaking of your kids, remember they will do what you do more than they will do what you say. Common Sense Media has a clever video with Will Ferrell promoting their Device Free Dinner initiative that shows how your screen time behaviors are seen and noted by your kids. You can’t ask them to do what you’re not willing to do yourself. Track your habits. If you’re not sure this really applies to you, keep a journal or a running tally of how many times you jump on Facebook, Candy Crush, Clash of Clans or whatever else you’re into. After a few days, take stock and determine if that time is keeping you from other more productive or life-enhancing activities. Take a break. Whether you see yourself as addicted or not, putting your device down and spending time away is a healthy habit to cultivate. Your mother-in-law isn’t totally wrong. It is important to spend time with family and friends to engage in real-world connections and conversations. A recent article from Forbes Magazine examined the struggle millennials are experiencing with face-to-face conversation having grown up in a digital world. They aren’t alone. Taking a break doesn’t have to be for a long period of time, but simply disconnecting, even for an afternoon, can help you reset and re-engage on a deeper level with the world around you.